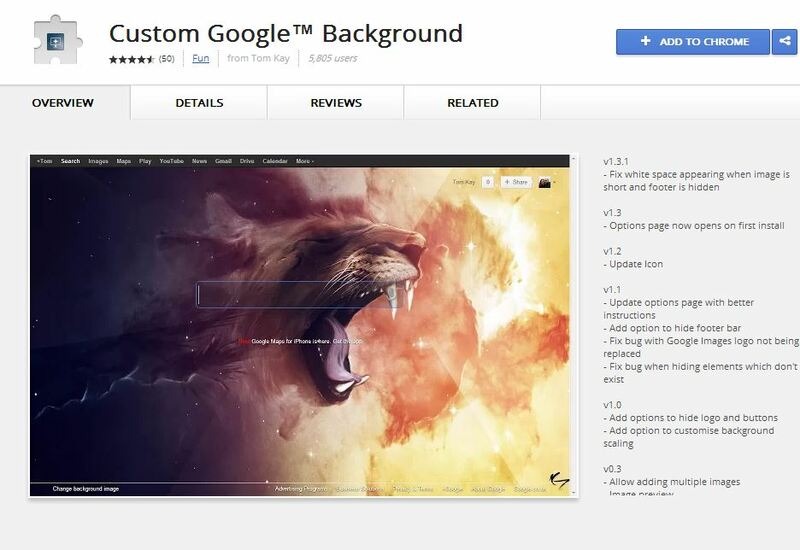 Want to add Custom wallpaper as background image to Google Search Page? Yes it is possible with the new Chrome addon, which allows you to change the background image of your Google search page. 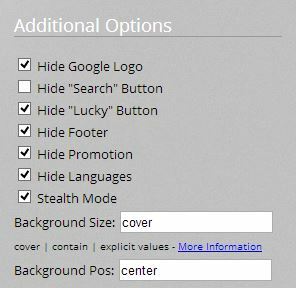 With the help of this Free Google Chrome addon you can remove the Google logo, search and lucky buttons, footer, and promotional links from the Google search page. Some months back Google took down personal backgrounds, among other features, so this is a great addon to get back the background on Google Search page. Now with Custom Google Background chrome addon you can customize the look of Google search page. To do this all you need a chrome browser and a wallpaper to set as a custom background for your Google search page. It has also some other features also, which we will discuss below. Step 1. Go the the Chrome Browser Web store and install the Custom Google Background on your Google chrome browser to start the process. Step 2. After the installation a new tab will open in your Chrome browser, from here you have to select a wallpaper that you want to use there. You can upload the Wallpapers from your desktop or you can paste the web url of the image to set as a background. Step 3. After uploading the wallpaper on the settings page, your uploaded wallpaper is set as the background of your page. You you can add multiple wallpapers and then switch between with a single click in the settings. Select the option as per your need to customize the look of Google Search page. Google Background extension is a nice way to change the look of Google Search page. 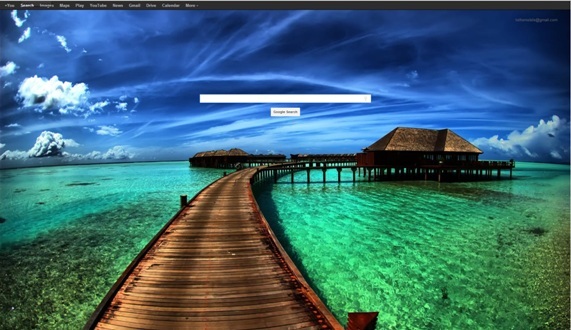 You have to must trey this extension to bring your custom background image back to Google homepage.